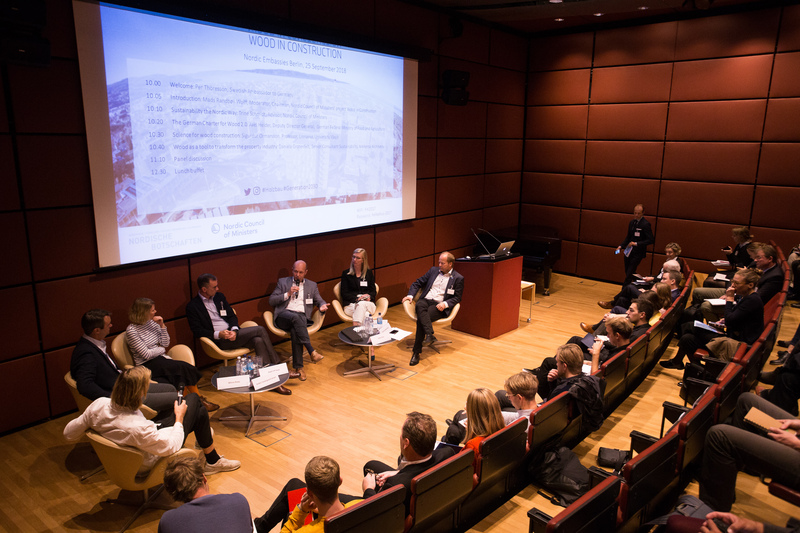 The Nordic embassies in Berlin conducted a seminar September the 25th regarding wooden cunstructions. The seminar was a part of an exhibition called Nordic Urban Spaces which was opened in a communal building of the embassies this summer. Government representatives, researchers and representatives of the industry as well as young architects and architect students from Germany and the Nordic countries, discussed which role constructions made out of wood could have within the process of decreasing carbon dioxide on Earth and therefore promote the Paris agreement and the world goals of a sustainable evolution. Ellert Björn Ómarson, who recently graduated with a BA degree in architecture from the Design - and Architecture department at IUA was Icelands representative in a group of young architects and architecture students from the Nordic country that participated in the semenar.